Mandarin Airlines (www.mandarin-airlines.com), TransAsia Airways (www.tna.com.tw) and Uni Air (www.uniair.com.tw) are among the domestic airlines that run services to local destinations from Songshan Airport, Taipei. The increase in high-speed rail services has meant there are fewer domestic flights on offer. An adequate road system joins major cities. A highway links Taipei and Kaohsiung. Some main streets have English signs. Congestion can be a problem, and mudslides may block mountain roads. Traffic accidents account for the highest number of deaths to international visitors, many involving scooters. Taiwan’s highways are graded into four categories: national highways (or freeways), provincial highways (or expressways), county routes and township routes. This is available in major towns. Most hire fees do not include insurance. The tourist board advises travellers to hire a car with a driver. Different rental companies have different minimum-age requirements, generally ranging from 20 to 25. These are plentiful and inexpensive (metered). A 20% surcharge is charged between 2300-0600. An extra charge is made for a taxi ordered over the phone and for luggage put in the trunk. The destination may have to be written in Chinese for the driver to understand it. It is not customary to tip taxi drivers. Designated cycle paths have appeared all over the country, usually of a good quality, although in many cases they’ve been designed with ‘pleasure rides’ in mind rather than as a means of getting from A to B. Longer-distance touring is perfectly possible though, with the quieter East Coast particularly popular. Bus and coach services between main centres are regular and cost-effective, often cheaper than trains. Leading companies include Free Go Bus (www.freego.com.tw), Kuo-Kuang (www.kingbus.com.tw) and Ho-Hsin Bus (www.ebus.com.tw). The Taiwan Tour Bus programme (www.taiwantourbus.com.tw) offers sightseeing tours. The Taiwan Tourist Shuttle (www.taiwantrip.com.tw) is a similar initiative. Seat belts must be worn by the driver and the front seat passenger. Third-party insurance is generally included on all insurance policies. Numbers to be aware of are the Police (110) and Fire Services (119). Car hire companies often provide roadside service island-wide, as well as replacement vehicles within 24 hours. 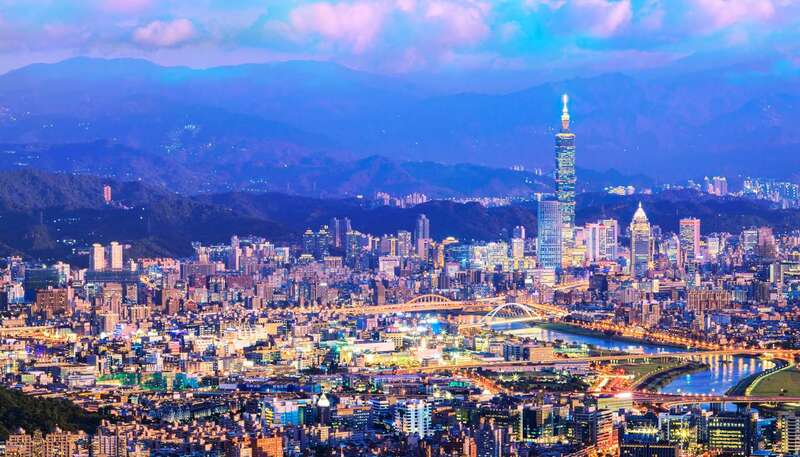 Private and public bus companies provide extensive services in Taipei. The MRT Mass Rapid Transit System (www.metro.taipei), Taipei's metro system, covers the major areas of the city. Trains are frequent and run all day until midnight. Metered taxis are available in Taipei; tipping is not expected, but it is starting to come into practice. For those confident on two wheels, meanwhile, scooters are convenient ways to explore smaller cities. THSR (www.thsrc.com.tw) runs high-speed rail services down the west coast of Taiwan from Taipei to Zuoying. Services are also provided to destinations all over the island by the Taiwan Railways Administration (tel: +886 2 2381 5226; www.railway.gov.tw). 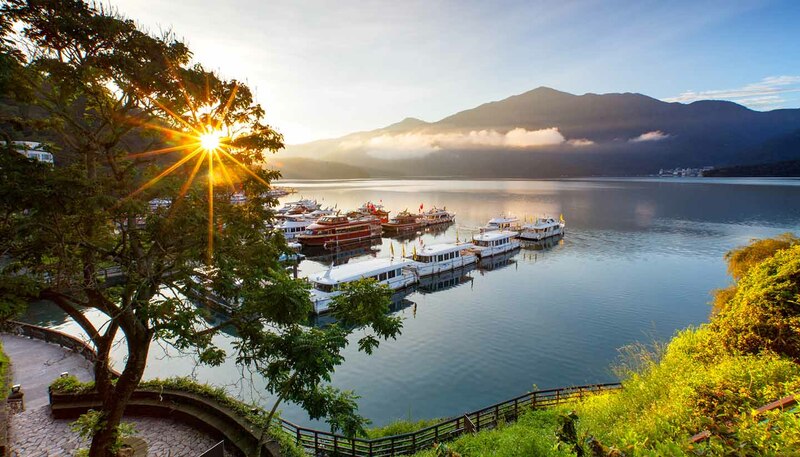 The main tourist routes are Taipei-Taichung-Chiayi-Tainan-Kaohsiung (a top-class service), Taipei-Taichung-Sun Moon Lake (with the last leg of the journey by bus), Chiayi-Alishan (with spectacular mountain scenery) and Taipei-New Hualian-Taitung (scenic coastal route). Air-conditioned electric trains run at least hourly from Taipei to Kaohsiung; some trains have restaurant cars. Children under three travel free; children aged three to 13 pay half fare. You can buy train tickets at many major hotels in Taipei, as well as at the main railway station. THSR Pass: valid for unlimited travel on THSR trains for three consecutive days or three days within a week. Joint Pass: valid for five days of unlimited travel on THSR and Taiway Railways trains (including up to two days on THSR trains). Various services are available between Taiwan and its islands. There are generally fewer frequent passenger sailings to Taiwan’s outlying islands during the winter months.